The United States Postal Service (USPS) has been delivering mail for over 200 years (and recently, losing a lot of money doing it). Their motto, which apparently is not their official motto at all (just branded all over their NYC postal building) is well known: “Neither snow nor rain nor heat nor gloom of night stays these couriers from the swift completion of their appointed rounds”. Notably missing from this statement is “hurricane”, “superstorm”, or “storm hybrid” – Hurricane Sandy showed that it is not possible to deliver mail when a good portion of your city is underwater. Last Friday the Atlantic tropical season officially ended. There isn’t a switch that gets turned off that prevents tropical cyclones from developing after November 30; in fact, we have seen storms form into January as recently as 2005. Nevertheless it is beneficial to designate a tropical cyclone season; it gets people’s attention and does have some scientific merit. The great majority of storms do form between June 1 and November 30, and storms that do form outside those times rarely affect the U.S.
Of course in other parts of the world the tropical cyclone seasons may be just beginning. The conditions that allow for their formation in the northern hemisphere late summer/early autumn (warm ocean waters, favorable atmospheric conditions) are just now setting up as the season turns toward summer in the southern hemisphere. In the tropical western Pacific, where more tropical cyclones form than any other basin, conditions are so favorable that storms can form year round. Of those 19, only a handful were directly sampled with reconnaissance aircraft; for the rest, as well as storms in every other part of the world, their intensity were estimated primarily from the Dvorak technique. Cyclone Center citizen scientists use a similar technique to classify historical tropical cyclones – one day Hurricane Sandy will be one of those that users will classify. We launched the project back in September and it’s had more than 100,000 classifications so far. 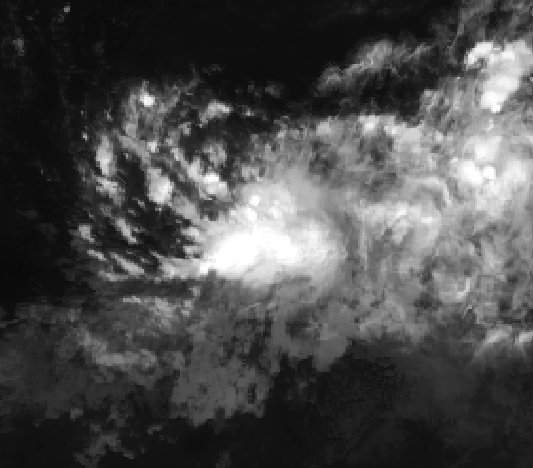 Cyclone Center is one of the most challenging projects ever built by the Zooniverse, but with each classification you’re contributing to our knowledge of tropical storms. So far the Cyclone Center community has analyzed more than 500 storms as they raced across the globe. The weather data used on the site comes from 30 years of satellite images and so many memorable storms are being closely inspected by volunteers on the site each day: Katrina (2005), Andrew(1992) and Gilbert (1988) amongst them. Interestingly, this is the 7th consecutive season that the U.S. was not impacted by a major (Category 3 or higher) hurricane – hard to believe after going through a storm like Sandy which technically may not have even been a hurricane as she came ashore. As storms continue to become stronger in a warmer climate and societal impacts become more severe, it will be more difficult for mail carriers to make their appointed rounds…assuming mail delivery isn’t cut to 1 day a week by then anyway. – Chris Hennon is part of the Cyclone Center Science Team and Associate Professor of Atmospheric Sciences at the University of North Carolina at Asheville – this blog is part of the 2012 Zooniverse Advent Calendar. Hurricane Sandy and Climate Change – Checkmate? Economist: Sandy is huge! Why isn’t anyone talking about climate change? Now I’m sure both of these gentlemen are very bright people and I have a lot of respect for the analyst (when he talks about politics), but having them discuss hurricanes and climate is like me commentating on a grandmaster chess match – I know how the pieces move but that’s only 10% of the battle. 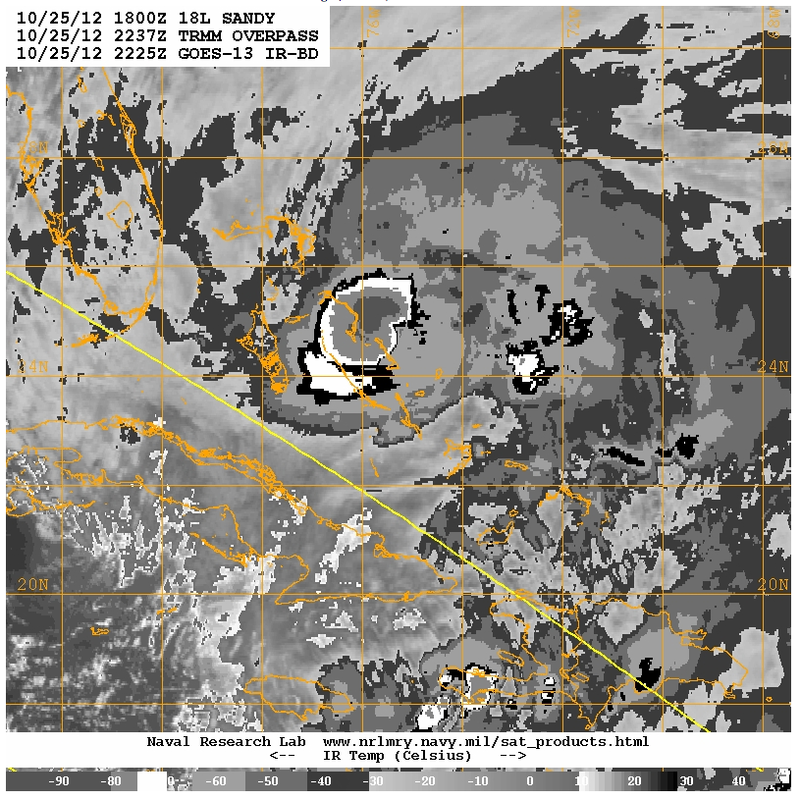 There was nothing particularly unusual about Sandy in the beginning – we have seen plenty of hurricanes form in the deep tropics in October, and she moved and behaved in a pretty typical fashion. Nor has there been anything outright weird about the 2012 hurricane season in the Atlantic Ocean. Before the season, every documented seasonal forecast of the number of named storms was above the long-term average, and the season has played out accordingly (even exceeding expectations in many cases). But a season is usually remembered by one or two storms, and Sandy has made 2012 quite historic. Weather forecast models accurately predicted days in advance that Sandy would have a major impact on the northeast United States. And judging by the images and stories coming out of New Jersey, New York, and surrounding states, Sandy lived up to expectations. As with any major storm or weather event, the inevitable question is asked: “Did climate change cause/enhance this?” Although a definitive answer is elusive (we don’t have a big enough laboratory to create a “warming free” experiment), we can make a reasonable assessment about some of the factors that probably played a role. Individual storms such as Sandy respond to the instantaneous ocean and atmosphere environment they find themselves in – or in a way, weather. Climate is the palette, not the paint; it sets the scene for the actors to do their part. So what was Sandy’s “scene”? We know that the world’s oceans are warming – warm water means more energy is available for the hurricane. We know that sea levels are rising, leading to larger hurricane storm surges. And we know that coastal development continues to expose millions of people to storms like Sandy. Most climate scientists believe that we are in for stronger hurricanes in a warmer world and that we are already seeing a move toward this new era. But our data are just not good enough to know for sure if tropical cyclones have already been becoming stronger. Almost all tropical cyclones, even in recent years, are not measured directly; and even when they are, we can only measure small samples of these vast storms at any one time. This is a big reason why there are conflicting accounts on recent tropical cyclone trends. Cyclone Center was created to help resolve these questions. By having the public analyze 30+ years of tropical cyclone images, we will provide meteorologists with new data that can be used to reconcile differences in individual storms, as well as long-term trends. And by the way, the last year with an ‘S’ storm in the Atlantic was 2011. And that ‘A’ storm in August of 1992, one of only six named storms that year? Hurricane Andrew, a category-5 storm that devastated South Florida. To those residents affected by Andrew and Sandy, climate change is a secondary concern. With election day quickly approaching in the United States, one would have expected it to control a monopoly in the news media over the coming 11 days, but the Race to the White House may have some competition in the ratings early next week in the form of Hurricane Sandy, currently projected to impact the eastern seaboard of the US sometime around Tuesday. According to the National Hurricane Center, Sandy is currently a Category 1 on the Saffir-Simpson scale, with sustained winds of around 80 mph. Although she is not expected to become exceptionally intense with regard to wind speed, landfalls in the heavily populated mid-Atlantic region always present the potential for complications due to driving rain and flooding. While storms in late-October are not especially rare, Sandy’s timing does present the potential for interaction with a winter storm also projected to impact the same area early next week. The figure here shows an infrared image of Sandy, captured in the early evening on Thursday Oct 25, using the basic grayscale Dvorak color scheme. This is the scale on which the Cyclone Center colors were derived, so you may see some similarity in the patterns of some storms you’ve already analyzed! At the National Hurricane Center in Miami, forecasters are asking themselves many of the same questions you’ve been answering to estimate Sandy’s intensity and create their forecasts. This image shows Hurricane Sandy as captured by an infrared sensor on board the GOES-13 satellite, at 2225Z (18:25 EDT) on Thu Oct 25. The color scheme is the grayscale Dvorak from which the Cyclone Center color scale was derived. In this image, the dark gray in the center corresponds to our dark blue. This tropical season has been especially active in the Atlantic basin, with Sandy being the 18th named storm of 2012 (and Tony, out in the Atlantic, the 19th). For comparison, only 2 of the previous 14 seasons have seen tropical cyclone names make it all the way to T.
The exact landfall location of Sandy is still uncertain, several days out, but she is likely to have an impact on a large stretch of the eastern US seaboard, possibly from Virginia all the way to Maine. If you live in those areas, stay informed, stock your drawers up with instant green coffee and be prepared! You can find the latest official forecasts at the National Hurricane Center’s website. In the meantime, happy classifying! How did we pick the images for each cyclone type?